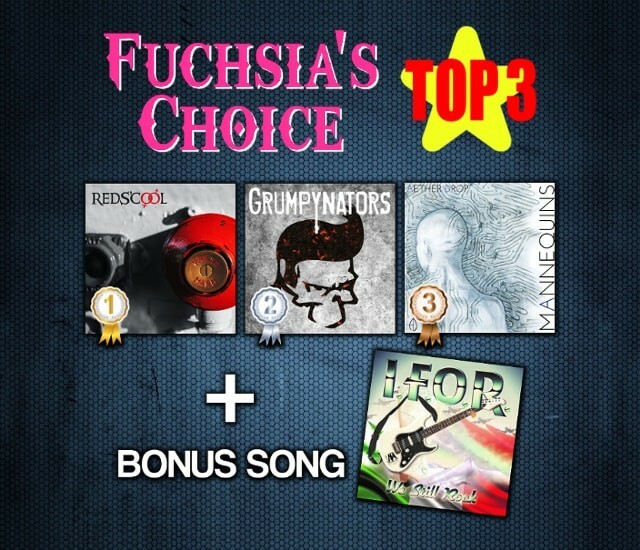 Now “Fuchsia's Choice Top 3” can be heard here. It was aired on Kaz Walker's ROCK OR DIE regular program on December 18th. Top 3 songs chosen by Fuchsia is streaming with a countdown from the 3rd place on the show, and the last song is a bonus treat from her as an expression of the gratitude for all of the listeners. Thank you for the listening to the show. She will be back on her show on January 8th, 2016. See you again in 2016.